The Chase series has long been at the top of my and many other trade-waiters lists of comics for which we'd like to see collections, making the new collection -- to coincide with writer and artist J. H. Williams's use of the character in the Batwoman series -- both welcome and somewhat miraculous. I never thought I'd see this collection, and especially not complete with Cameron Chase's Batman premiere issue and some of her Secret Files appearances; it's a good day for collected comics fans. To read the Chase trade paperback, however (and this is why we can't have nice things), is to be reminded that Chase was indeed a series cancelled suddenly, more so than Stars and STRIPE or Manhunter or Aztek or any of a number of other similar cult hits. The book asks considerably more questions than it answers and begins down a number of paths it never concludes. The Chase collection is almost (but not entirely) as complete as one might hope, but from the reader's perspective still feels incomplete. There's much that's appealing about Chase and that speaks to its perennial popularity despite lasting only ten issues. First, there is the character and concept itself. Chase is one of a rare breed of superhero comics that manages to effectively work in the superhero genre without actually starring a superhero (Gotham Central, one of Chase's spiritual successors, is another). Department of Extranormal Operations agent Cameron Chase investigates metahumans (sometimes helping, sometimes hunting) and the concept of the character melds just as well into the "freak of the week" story that starts Chase's first issue as it does into an espionage tale guest-starring the Suicide Squad and a police procedural helping the Gotham police fight super-powered drug dealers. There's a grittiness to Williams's pencils throughout the book that takes the shine off even the most gaudy of superheroes (like Booster Gold and the Dan Jurgens-era Teen Titans) and makes them all seem more realistic. If Gotham Central was Law and Order set in the DC Universe, this is a fine conflation of the DCU and CSI or one of its ilk. Indeed, there's much in Chase that will seem to echo (but in fact pre-dates) the best elements of DC Comics's cult hits. Chase shares Gotham Central's realism (and some of its supporting characters); Williams's work, acclaimed on its own, will remind readers of Tony Harris's Starman pages especially when Williams encloses Gotham in art-deco frames. The series boasts a motley supporting cast of Chase's friends and family, all non-powered, similar to those in Marc Andreyko's Manhunter (and it seems obvious, now, that Andreyko would bring Chase and friends into his title). Co-writer Dan Curtis Johnson and Williams are obviously writing their own rules in these pages. Often Williams draws static images alongside large swaths of text, most notably when Chase reveals to her sister Terry the circumstances of their superhero father's death at the hands of a supervillain. The story halts twice for related Starman-esque "Times Past" tales of Chase's life before the DEO (Williams is to be credited for drawing the frame stories of these, even when a guest-artist handles the rest); these seemed to be heading toward a larger story that would pay off for long-time readers. Unfortunately, Chase's ten issues don't give the writers time to delve too deeply into the characters. There's an undercurrent of trouble between Chase and fiance Peter that never bubbles to the surface, and Chase's own power-dampening superpowers, hinted at in almost every issue, are never directly examined. Instead, the book is at its strongest mainly as Chase negotiates her love-hate relationship with superheroes (loving her father, hating that his superheroic life brought about his death). Particularly effective is Chase and Terry's aforementioned issue-long talk in Chase #6 (and their iconic rescue, not by superheroes, but by "civilian" firefighters), and Batman's admonition, not long after, that Chase cease hunting heroes solely in revenge for her father (even as Batman recognizes the irony of the statement himself). These are all engaging stories, sharp and well-written. It's unfortunate, however, that the "main" Chase series itself ends in a nonsensical "Times Past" story where Chase and friends free Green Lantern's cousin Airwave from imprisonment inside an ATM. Had another regular Chase issue followed, the use of Airwave might've been a cute piece of nostalgia, but instead it disappoints. The DC One Million crossover issue that follows, set in the future, picks up a bit of the slack, suggesting in the end that Chase's powers and growing sympathy for the superheroes lead her to become the DEO's next director. But neither issue is quite as strong as Chase #8, in which she almost unmasks Batman, and that might have been the better for the series to end on. The shorts, as part of character-specific Secret Files, often dwell on minutia unrelated to Chase; there's also a significant part that refers to Chase's guest-appearance in the (criminally uncollected) John Ostrander Martian Manhunter series, which won't make much sense to casual readers. The final pages vaguely suggest corruption in the DEO, but this never fully manifests in the story. The book ends and it feels like something's missing. At the same time, the shorts find unlikely footing for a moment in two dramatic stories both before and after a DEO mission to investigate Gorilla Grodd goes horribly wrong. Joker's Last Laugh might not have been much of a crossover, but the Secret Files story in which a DEO agent deals with post-traumatic stress is stellar, another highlight of the collection. Over the years, the legend of Chase grew in my mind, such that in reading this book I was surprised to find not much more than the beginnings of a series here. 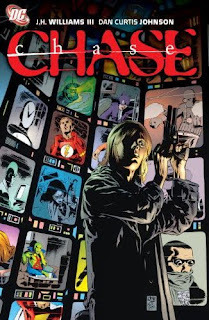 I think the Chase collection has been so in demand in part because the DEO, not Chase, is Johnson and Williams's lasting contribution here; this FBI-like agency that was not villainous like the Suicide Squad or geo-political like Checkmate became ubiquitous in the DC Universe, such that it's hard to believe it stemmed from a cancelled series. The reoccurring Secret Files feature most certainly helped, such that it wasn't long before the DEO had interacted with every corner of the DC Universe. It's also important that Chase has finally received a collection because in Chase, readers encounter a female protagonist who neither fights crime in a bathing suit nor a costume with a revealing window. Williams's images never sexualize Chase where the plot doesn't warrant it. Given DC's difficulties on this end of late, the release of a Chase collection in line with more tempered depictions in Manhunter, the Renee Montoya Question stories, and others, is a positive step on DC's part. I would mention, to close, that while the story inside Chase may be worth its collection, the production value of the collection isn't quite worth the story. At 352 pages, Chase is a hefty collection, and so many pages packed between these paperback covers made my book curl almost immediately. Some Collected Editions readers won't be happy to know the book is printed on thinner "newsprint"-type paper, either. I know full well that the market probably would not have supported a glossy hardcover Chase edition, but I worry this book won't hold up against multiple readings. It's a Batman week next week, including the Collected Editions review of Batman: The Black Mirror. You haven't read the review until you've read the Collected Editions review -- don't miss it! 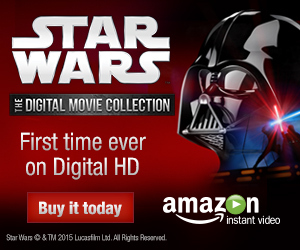 This one should show up today from Amazon. Can't wait to check it out, I've heard good things. While I agree that the DEO is a lasting addition to the DCU mythos, I suspect that the only reason to bring this trade out has to be to capitalize on the success that is JH Williams III. I agree DC finally decided to collect this material due to Williams's popularity and ongoing Batwoman series. As to why fans have been so interested in receiving this trade for years, however, I theorized abouve that one of the reasons is how entrenched the DEO became in the DC Universe. Hello, just came across your site, searching for reviews of the Chase trade. I'm very impressed with the in-depth content, and will visit regularly. My copy of Chase is in the mail. I just know her from Manhunter, and Mr Bones from Infinity Inc. Sounds like I'm in for a good read! It's interesting that these characters have such long lives that we encounter them from different places -- I remember Chase in the beginning, and you know her from Manhunter. Stop by after you've read the book; I'm curious to hear how you like it.